Can you confirm these amateur observations of Suta suta? 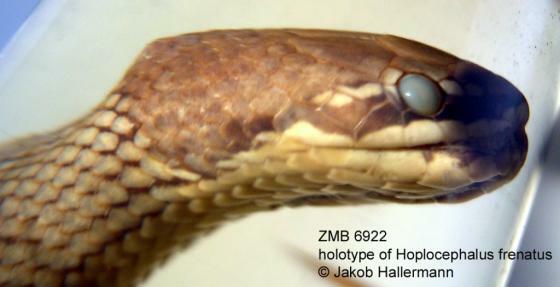 Holotype: ZMB 6922, from Lake Elphinstone, Qld. [Hoplocephalus frenatus]. 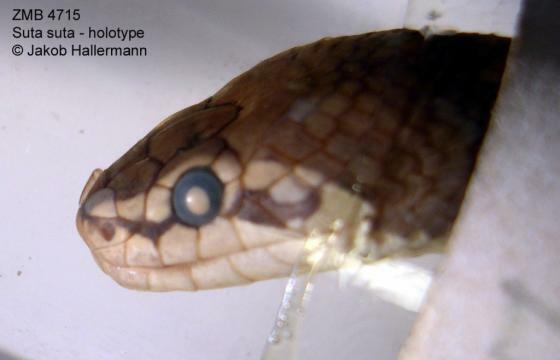 Holotype: AM R31926, from near Normanton, Qld. (status unclear because this specimen differs from the original description fide COGGER 1983) [Hoplocephalus carpentariae]. Holotype: AM R655, from Narrabri, N. S. W. [Hoplocephalus frontalis]. Lectotype: (only extant syntype), NMV D11758, from Charlotte Waters, N. T., other type localities in original description were Oodnadatta, S. A., Alice Springs, N. T., and Hermannsburg, N. T., lectotype designated by Coventry (1970) [Hoplocephalus stirlingi]. 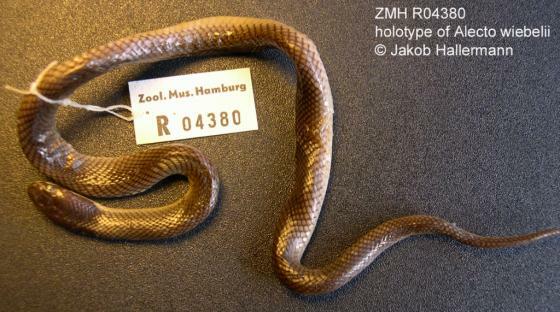 Holotype: QM J198, from Qld. 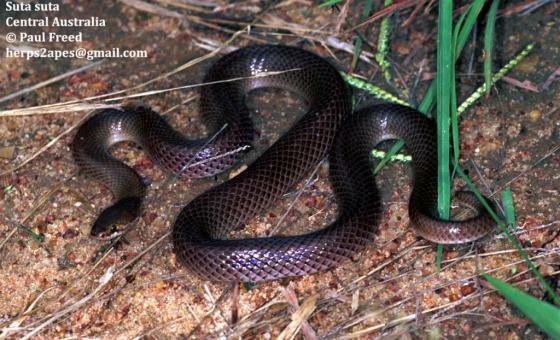 [Denisonia frontalis propinqua]. Syntypes: BMNH 1946.1.20.72-3, from Alexandria, N. T. [Denisonia forresti]. Synonymy modified after COGGER 1983. Kaiser et al. 2013 considered the generic name Hulimkai Hoser 2012 invalid and rejected its use instead of Suta.